We all know that there’s a million occasions to give jewelry: birthdays, holidays, anniversaries. But when is it time to part with an old piece necklace or pair of earrings? In today’s blog, we’re sharing a few simple reasons where you might feel some relief doing just that. Take a look! If you just bought an expensive necklace and find that its clasp has broken, you should by all means have it repaired! 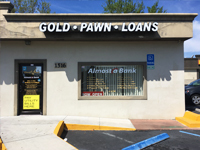 However, if you find that older pieces are damaged or in disrepair, and they’re not especially meaningful to you, you may find it simpler to simply sell them rather than seek out a repair option. 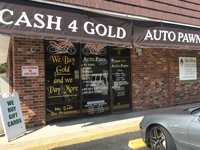 The advantage in working with Auto Pawn is that we can take jewelry that’s new, old, in perfect condition and not-so-perfect condition. So no matter what you have on hand, it’s worth bringing in! Maybe you bought a necklace or pair of earrings several years ago that, today, don’t quite live up to current style standards. That’s okay. Exchanging them for cash can help you put that money toward something else… maybe even a new, more modern piece! Save for sentimental pieces (that you probably don’t want to part with), you shouldn’t be hanging onto jewelry you get no use out of. Like we said, sentimental pieces are worth hanging onto. But what about a piece of jewelry that’s completely devoid of sentiment? Or maybe the wrong kind of memories? No matter the case, shaking off the added weight of jewelry you no longer love can make a positive impact. Finally, and most simply, you should feel okay about parting with jewelry that takes up more space than it’s worth! You can tell if this is the case by observing your closet routine: if you’re always shoving away certain pieces to find the accessories you actually want to wear, it may be a sign to go without. Make room in your jewelry box for sentimental pieces, or necklaces and bracelets you can’t help but ogle over. 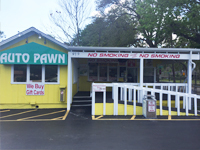 Auto Pawn can help with all the rest, turning your imperfect or unwanted jewelry into cash for things you really want.